Web Design made easy through WordPres. No need to worry about coding, our CMS system is THE BEST in the market. It is a WYSIWYG - What You See Is What You Get. Simply drag and drop and your website will be done in no-time! WordPress is unbelievably flexible, highly customizable, super user-friendly, and as mentioned above has a great content management system - CMS. You can use it for blogs, small business websites, and even e-commerce. We have highly skilled developers that can bring your site up to date and add that custom touch you always wanted. We'll install our premium theme, developed for the easiest CMS in the market. With the power of WordPress, with the ease of Wix. No other solution on the market is this POWERFUL! 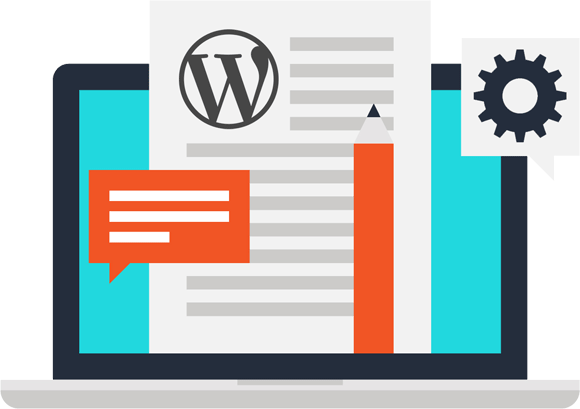 We'll install the must-have plugins that are needed to make your WordPress website great! No matter which package you choose, we will install these lightweight, premium plugins. Appletree Creative's web design team will make your website clean, responsive and modern. By using the best-in-class CMS, the website is easy for our team to build and once it gets in your hands it's effortless to maintain. This is an optional option. We can develop unique content using creative writing to make your site stay ahead of your competitors. We will make sure before the website is in your hands that the on page SEO has been done. Ensuring you focus words and keywords are in place ready for Google to organically place your website above your competition.